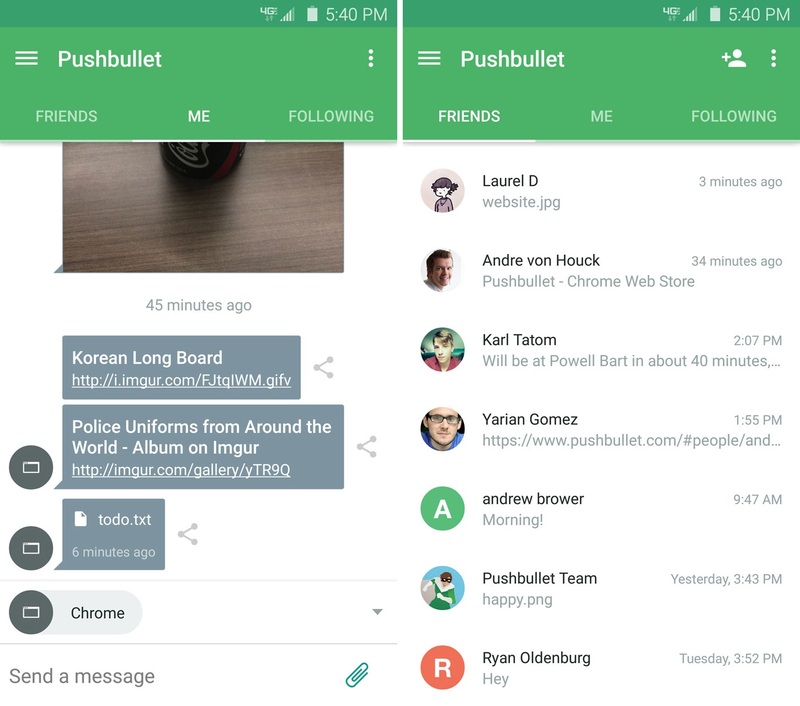 PushBullet, an app that lets you move files easily between different devices or send them to friends, has rolled out a full overhaul of its mobile, desktop and browser-based apps. First off, the company says it’s made the app easier to use by re-organizing the way in which it displays received content. Previously, it was just in one long unmanageable list, but there’s now a section for your own pushes, a separate list for pushes from friends and a third list for updates from ‘channels’ you subscribe to. It’s easier to see your message history with a specific friend too, just like a regular messaging app, now that pushes and other messages are arranged more logically. It also means that when you do receive a message from a friend, you can reply to it, which was a huge omission from the previous versions. Despite there now being more of a focus on ‘messaging’ rather than pure file management, you can still send and receive the same sorts (and sizes) of files as previously. 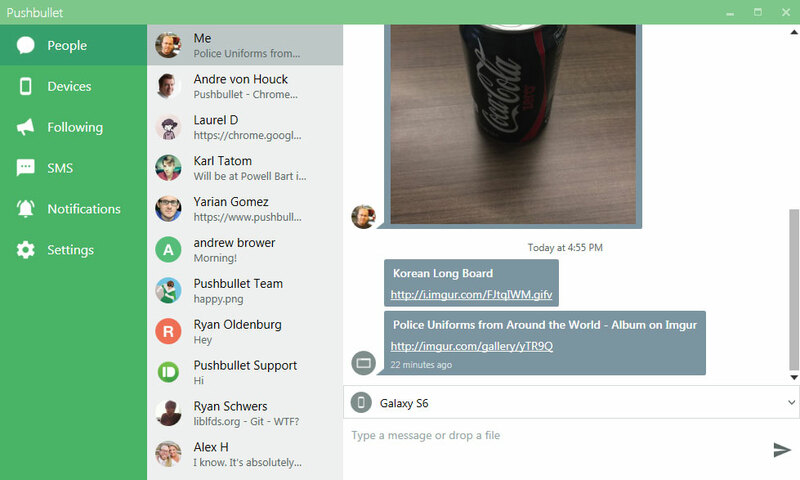 Alongside the redesigned mobile apps, PushBullet for Chrome, Firefox, Opera, and Safari have been tweaked to make it easier to see your chat history. They also now support drag-and-drop sharing of files in chat windows (and multiple drops), which streamlines the overall process. Rounding off today’s changes is a new chat-head feature in the Windows desktop app (alongside the streamlined message workflow and drag-and-drop attachment support), which doesn’t seem to have made it across to the Mac app quite yet. 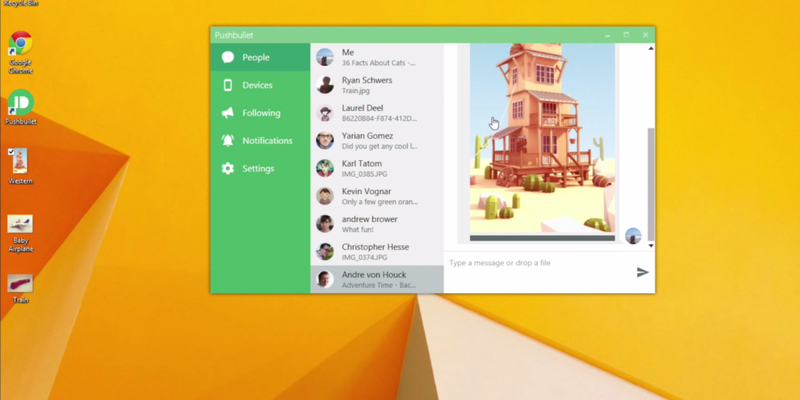 Just like on mobile chat apps, the desktop chat-heads float over other apps, allowing conversations to be easily opened and collapsed. 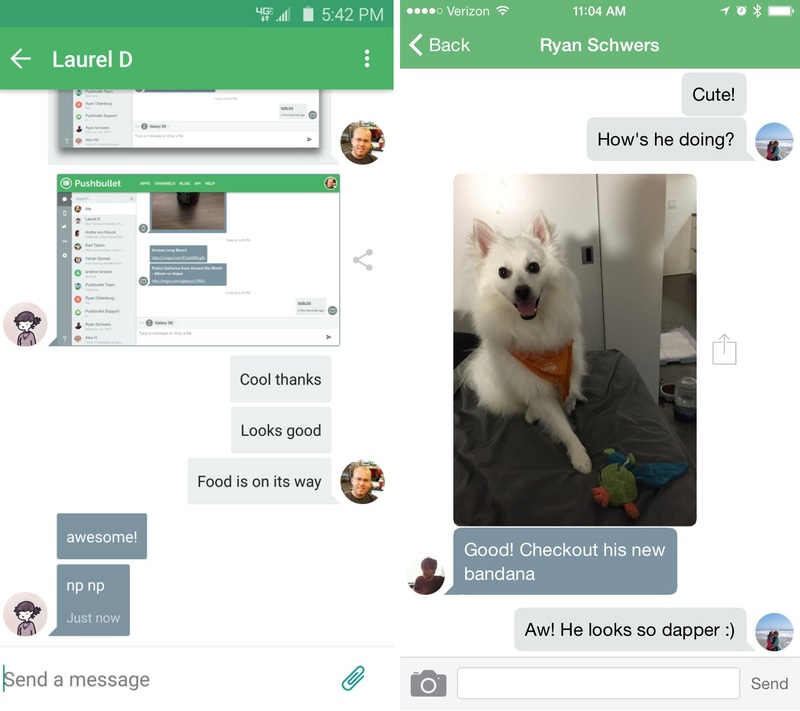 While you can obviously use the chat-head feature with friends, you can also assign your other devices a chat-head bubble in order to make it easier to share content directly to a specific place. 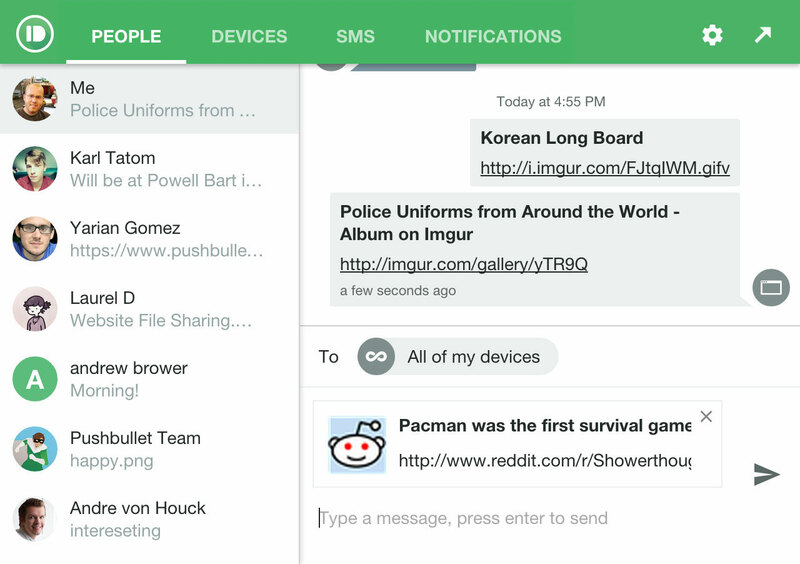 The changes, while streamlining the app, bring PushBullet into more direct competition with traditional messaging apps, rather than utilities or file management services. PushBullet’s CEO explained to TNW that the aim had actually just been to make it simpler to carry out actions in fewer steps, rather than a specific increased focus on sharing content with friends. As far as using it as a messenger with friends, well, we’ve already had pushing to friends as a feature since the very early days so it’s something that’s badly needed improving. Truly though, even if you never share something with a friend, PushBullet is far better with just your own devices after this update. This was the golden rule as we worked on the update. The new versions of the app for mobile, desktop and browsers are available to download now – and the changes are also reflected on PushBullet.com too.